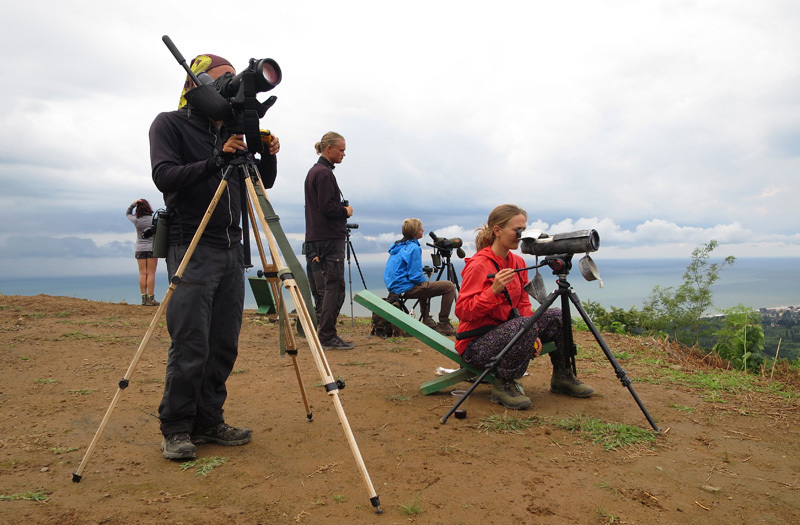 Are you interested in counting raptors with us, some time between August 12th and October 21st, 2019? Then consider joining us as a counter. We are still urgently looking for volunteers to help us count hundreds of thousands of birds in the first ever BRC Spring Count. Batumi Raptor Count (BRC) aims to monitor and promote the Batumi bottleneck, where over 1,000,000 migrating raptors pass each autumn. We would like to create closer ties with you throughout the year. Join us today to become an integral part of BRC. Want to see the numbers? Dive into our daily and annual count results. We are currently running a pilot spring count. Want to see our daily and annual results? Click the button below. Donations contribute directly to raptor conservation in Batumi, and cover our autumn raptor count monitoring and involvement of Georgians. Every donation, no matter how small, is appreciated!